Hi everyone! Hope you all had a wonderful weekend and your year is off to a great start. Today, we're kicking off our home series with the first post - The Planning Phase. 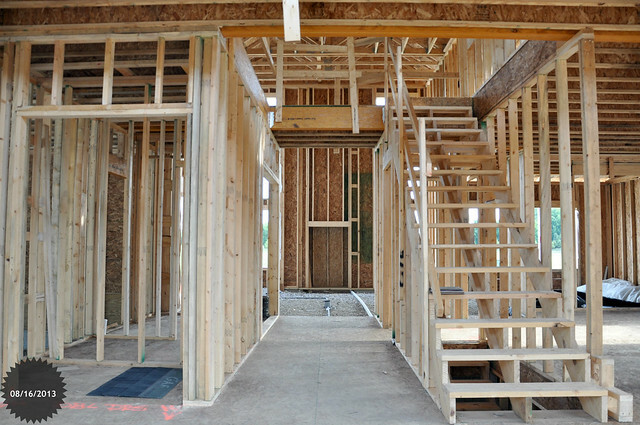 Like any major life event, building a home is a journey. We wanted to take this opportunity to share our experiences (good and bad) as well as tips for 1st time home buyers. Since my husband was heavily involved in all stages of the building process, I'll let him take over this series. We looked at many homes using the usual Realtor tools and visited the models and neighborhoods of several builders in our target area. All were missing something significant that we were looking for – namely good utilization of space to provide our must haves in a custom home that offers character and a unique look. Instead of compromising or going up in cost, we decided to work with a builder. However, the builder we were most interested in did not offer the unique features we were looking for in one of their designs at the square footage that we wanted. We were very impressed with the quality and soundness of their homes. The sales associate suggested that we could modify one of their plans or draw our own. She was aware that we had a plan that we had drawn many years before. It was really impossible to alter one of their plans significantly to meet our needs. Each modification we added had a domino effect on other design aspects. After working with their plans extensively, we decided to attempt to update the house plan we drew years ago. The plan had to be reworked significantly to fit on a standard subdivision lot. Their subdivision lots are not small, but our original plan did not factor in this aspect of building a home. We heavily factored the specific needs and desires of our family to shape the design of our home. To start with, we knew we wanted curb appeal and a grand two-story entry with a double catwalk. We also strive to achieve an open concept design that is functional with common areas that bring everyone together. The two-story entry features a front catwalk overlooking double front entry doors a bank of three floor-to-ceiling windows on the second floor. We also wanted four large bedrooms that were separated from one another for greater privacy - each with a bathroom and a large walk-in closet. The front catwalk overlooks the grand entry and formal sitting area and provides access to the front right and front left bedrooms. 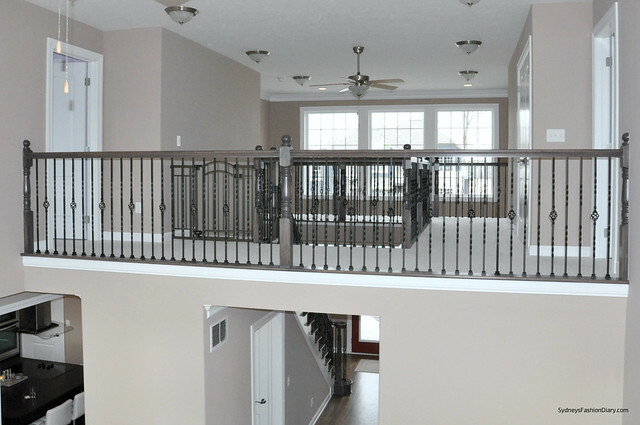 The back catwalk overlooks that two-story great room and the bonus room and provides access to the back left and back right bedrooms. Give yourself plenty of time to review the design. Even though we drew the plan we still missed a few things in the design stage. 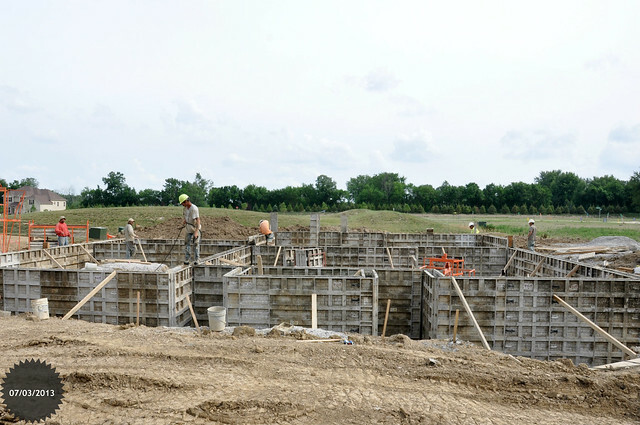 Plan to build the foundation pieces first. 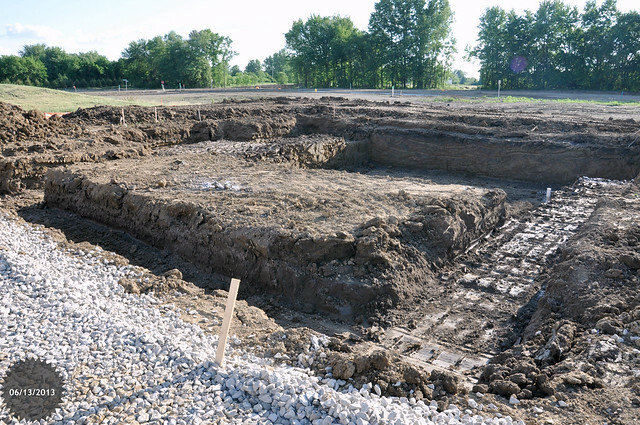 Basement wall height, location of mechanical, pitch of the roof, lot plan, driveways, etc. are not items you can easily address later. Get it right in the initial build even if it is a cost that impacts some of your other needs or desires. Do not accept or take for granted that the contractor grade is adequate for your needs or taste. Remember that even the contractor grade is costing you something. For example, your builder is charging you an allocation they have for carpet. If you ultimately prefer hardwood flooring throughout, consider that if you go with carpeting in some areas now to save money initially that down the road at the point you tear out the carpeting to replace it with hardwoods you are throwing away money. Put some emphasis on how your family’s size, habits and needs will change overtime. For example: we wanted each child to have a large bedroom, bath and large walk in closet to provide them plenty of space to grow. We also wanted to ensure we have connectivity with the family by centrally locating the kitchen with the great room and the kids' playroom. I know it's a lengthy post but I hope you find it somewhat helpful. Please feel free to leave any questions you might have in the comment section below. This is such a helpful post! Though it will take me few more years to buy my first place, I will keep this post in mind. Happy new years to you and your family! Sounds like a long process, but so worth it in the end! Your new home looks gorgeous Sydney! I admire the work and thought you guys put into building and getting all the features that you wanted! I'm sure your girls will appreciate the private bathrooms and closets as they get to the teenage years! Great post. Thanks for sharing so many details about your planning process. It's really helpful. I'd love to see more photos and ideas in future posts!! So pretty!!! Your home looks amazing and to me seem like a the way to go. Imagine having your house the way you want it. Nicely done Sydney!!! These are some great tips! My husband and I are just starting to look for a home! What a great idea for a post! I can't even imagine the stress that goes into having a house built! 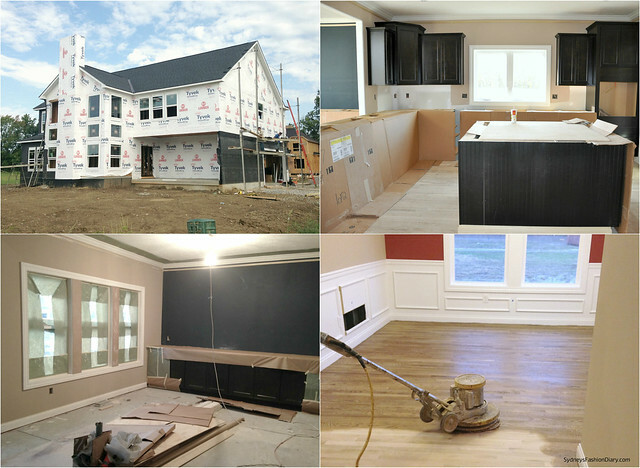 Loved seeing these progress photos! Wow, so blown away! Such a beautiful home! Love this! I can't wait to see more! My sister is currently building a house too, it is very interesting to see the start to finish process! Your house sounds amazing! While we can't afford to do something like this in the Bay Area, we are contemplating fixer uppers that we could completely remodel to our own tastes. Still, that's a daunting task - not sure the hubs or I are up for it! You guys sound super savvy and knowledgeable about this, I'm so impressed. Nice article. This is very useful. Thanks for sharing. Building your own home is definitely going to be much more satisfying as opposed to simply buying a ready-made one off the market. The whole process will enable you to customize each and every inch of the house like the size of it, the amount of storage you will have, until the size of the front door. It is all about personalising to your needs.